Hair coloring is a fashionable trend inclined towards making a style statement. Increasing ageing population is driving the demand to cover grey hair which is significantly boosting the demand of hair color market across the globe. In Europe nearly 70% women and 10% of men uses some form of hair dyes. Also in the United States, over 75% of women use some kind of hair dye. This growing trend of coloring hair is increasing the sales of hair color products. In 2016, nearly 1.43 billion units of hair color products were sold in the United States. Growing risk of cancer due to chemicals present in hair colorants is limiting the growth of hair color market across the globe. In 2017, as per the study by the National Cancer Institute, around 35% of women above 18 years use some kind of hair color products. These hair dye products constitute over 5,000 different chemicals out of which few of them are carcinogenic. Moreover, government is implementing strategies and cosmetic regulations to avoid any health risk. For instance, since 2003, European Union Commission has been implementing assessments for consumer products and these assessments are conducted by Scientific Committee on Consumer Safety (SCCS). SCCS has banned more than 180 ingredients used in hair colors and over 100 ingredients have been granted safe and are allowed to be used in hair dyes as per Cosmetics Regulation. Mounting demand to cover grey hair, prevention of early balding symptoms and adoption of trendy fashion is increasing the sales of hair color products. Hair color market holds nearly 22% share of global hair care market. The global hair color market valued USD 18.59 billion in 2016, and is projected to grow at a CAGR of 8.56 % over the forecast period 2016-2024. Powder hair color or hair dye occupies the largest market share in product segment. Powder hair color segment is expected to occupy over 65% revenue share of global hair color market by the end of 2024 due to high adoption rate in developing countries mainly in rural areas. Crème segment accounted for nearly 25% market share of hair color in 2016, owing to its high price, adoption rate is limited in emerging economies. However, long lasting effect and positive feedback of crème hair color is likely to boost the demand for crème hair color during the forecast period. Geographically, Europe dominated the global hair color market in 2015 followed by Asia-Pacific and Latin America. High adoption rate of hair color to enhance hair styling & fashionable statements and growing popularity of hair texturizing products is accelerating the growth of hair color market in Europe. As per our Hair Color Industry Statistics, Europe hair color market is anticipated to grow at a CAGR of 6.0% over the forecast period i.e. 2016-2024. 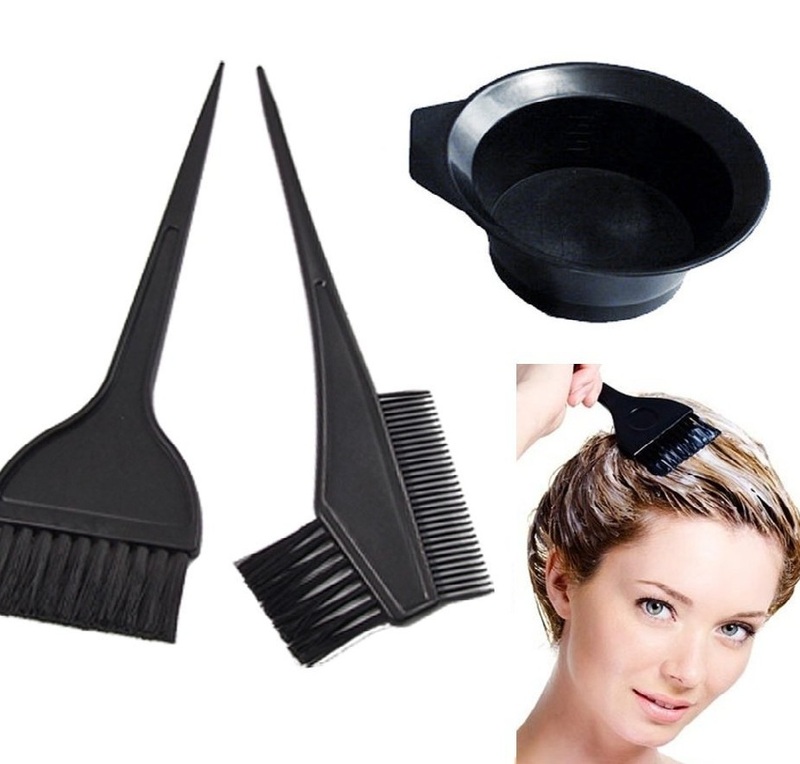 Rising concerns of hair health and availability of various treatments for hair styling is impelling the hair color market in Latin America and Asia-Pacific region. Asia Pacific region is projected to dominate the hair color market over the forecast period, growing at a CAGR of 11.0% over the forecast period. Whereas, Latin America hair color market valued USD 0.56 billion in 2016 and is expected to grow at a CAGR of 18.0% during the forecast period. On the other hand, North America hair color market is expected to witness steady growth over the next five to six years, owing to the availability of wide range of hair colorants and rising popularity of hair colors among youngsters. However, North America is the leading region for novelty hair color market, due to rising demand for pink, blue and purple hair coloring services in the region. North America hair color market is estimated to generate revenue of USD 9.32 billion by the end of 2024. Rising urbanization, increasing number of fashionable trends and changing lifestyles in emerging economies are boosting the adoption rate of hair colors across the globe. Rising penetration rate of professional salon and spa services is expected to fuel the growth of global hair color market. Government is taking initiatives towards the ill effects of chemical used in hair color. Stringent cosmetics regulations are likely to have negative impact in the manufacturing of hair colorants in the near future.